If you or a loved one have experienced a traumatic brain injury (TBI) caused by the negligence of another party, you may be eligible to receive compensation for medical bills, loss of income, pain and suffering, and other damages. However, you need strong legal representation to build your case. With our extensive knowledge and years of proven experience, a traumatic brain injury lawyer at the Salt Lake City, UT, office of Jones Waldo law can help you collect the damages you need in order to start rebuilding your life. A traumatic brain injury can impair mental faculties, which can cause lasting, debilitating effects. Why Seek Legal Counsel in a TBI Case? A brain injury is one of the most severe injuries that a person can suffer, and also one of the most expensive. A TBI can result from a sudden trauma to the brain, be it due to a car accident, a slip-and-fall accident, blow to the head, or other causes. 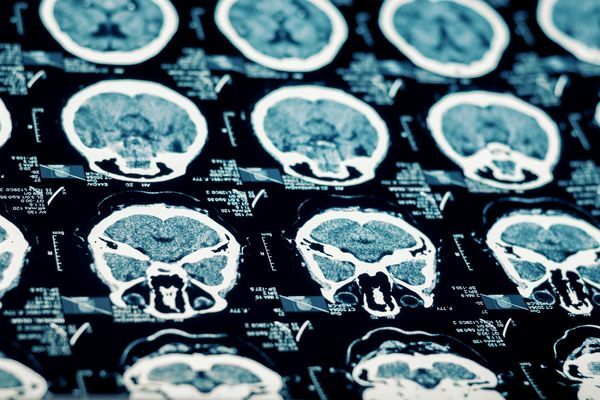 In some cases, medical tests may not be able to detect a TBI immediately after an accident, and it only becomes apparent when the victim tries to undertake complex tasks. In very tragic cases, these serious injuries can lead to severe mental impairment, or even wrongful death. The effects of a brain injury may include persistent headaches, difficulty focusing, fatigue, forgetfulness, impaired judgment, and restlessness. Physical limitations can require years of medical treatment, therapy, and ongoing care. Victims of a TBI are often left unable to care for themselves or earn a wage. Even if victims do work, their injuries might force them to take a lower-paying job. Given its grave consequences and the complex nature of the related medical issues for a TBI, it is imperative that the victim and their family hire an attorney who can gather the right evidence and illustrate the full extent of your losses. Lynn C. Harris and his team can help you navigate the laws surrounding personal injury litigation in Utah. We can help your pursue and secure the compensation to which you are entitled. When you or your family members choose to seek our help, the team at Jones Waldo can immediately begin the painstaking process of building your case. This process involves extensive research into the nature of your injury, collecting evidence to prove third-party negligence, interviewing any eye witnesses, and more. The more information you can provide us, the better your chances of establishing third-party liability and winning your claim. With his unique experience and legal expertise, Mr. Harris can represent your best interests and secure the damages you deserve after a debilitating accident. We will take several factors into consideration while pursuing your due restitution. We will consider the loss of present and future earning potential, present and future medical expenses, and ongoing care costs to maximize damages for you and your loved ones. Though money cannot make up for emotional trauma, we also strive to recover damages for non-financial losses to help you face the future. This additional restitution may include compensation for pain and suffering and loss of consortium to a partner or spouse. We also have a policy of no-recovery, no-fee. In other words, if we take your personal injury claim and do not recover any damages, you pay will not owe us any fees. Personal injury attorney Lynn C. Harris is one of the original founders of the Utah Citizen Alliance, which was organized to allow citizens with a personal injury to have a voice at the state legislature. With his unique experience and legal expertise, Mr. Harris can represent your best interests and secure the damages you deserve after a debilitating accident. Contact us to schedule an appointment.